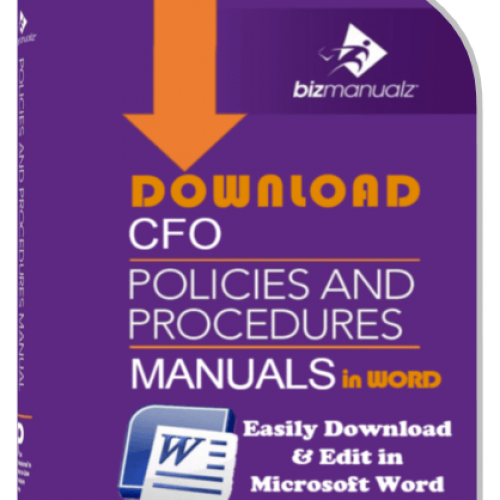 Our customers cite ‘organizational improvement’ as their main reason why they purchase policies and procedures. From many conversations we have gleaned that customers want to implement a system for continuous improvement and compliance. 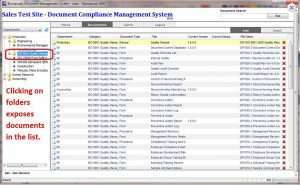 In a system, procedures are continuously reviewed, revised, and updated. 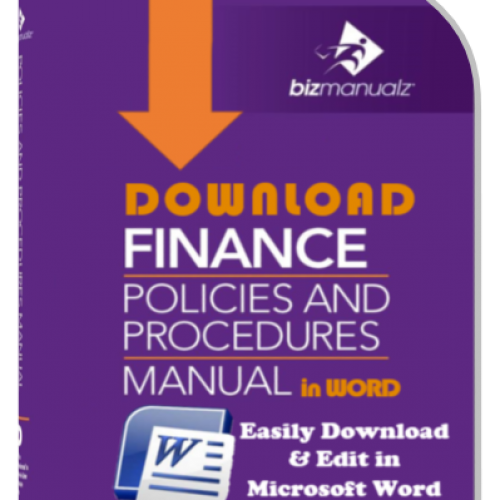 Bizmanualz OnPolicy manages policy procedure workflow and simplifies compliance. 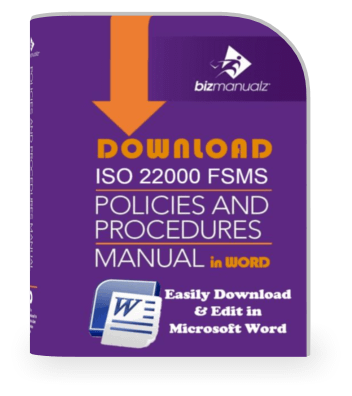 To remain compliant with your industry standards, government regulations, and quality requirements such as ISO, document changes must be managed and traceable through the document management cycle: DRAFT | REVIEW | APPROVE | RELEASE. 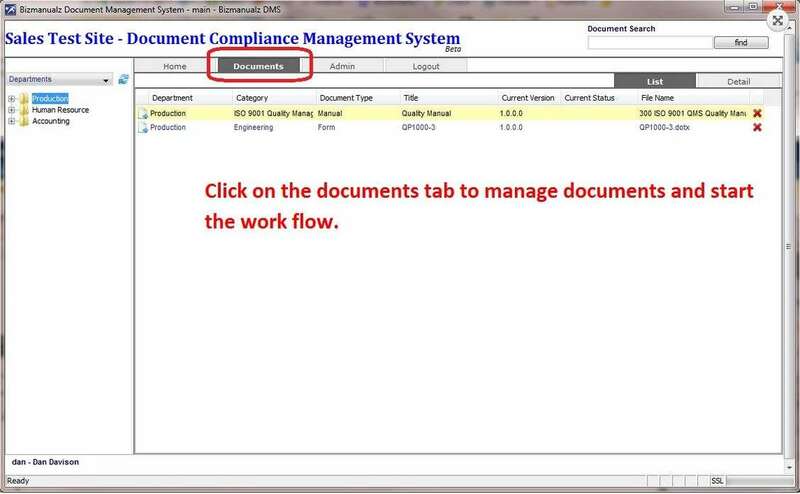 This cycle is the heart of your document compliance work flow. So Bizmanualz has developed OnPolicy, an on-line document management software for simplifying procedure management and compliance. 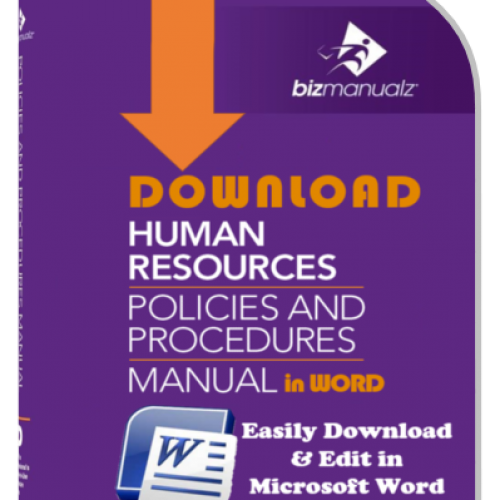 Because the software is available as an on-line service, organizations of any size can manage and share their policies, procedures, work instructions and other operating documents. 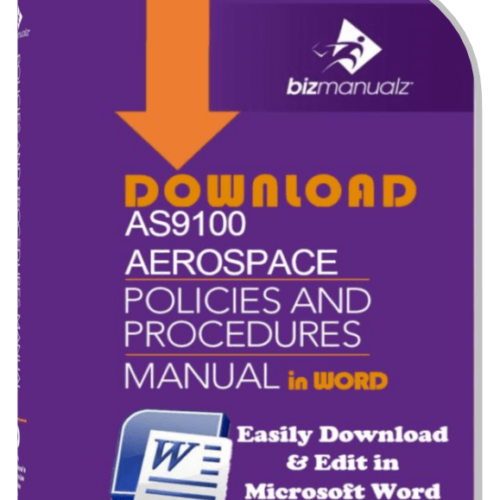 Now anyone has easy access to procedure management software. 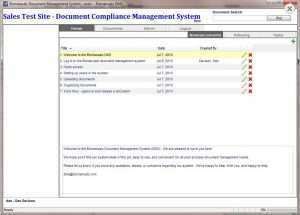 For more background on how document management software can help you, please see our blog. The work flow starts with drafting documents and includes reviewing, revising, approving, and releasing documents. The following “use case” illustrates work flow in our new software. 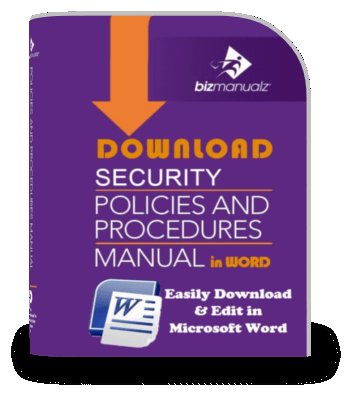 To log in to the Bizmanualz OnPolicy editing module, click on a link and enter a user name and a password that you received via e-mail. When logged in, users will see the following ‘Home’ Screen (Figure 1), which shows announcements posted by the administrator and other users of the system. Figure 1: Click screen shots for larger images. 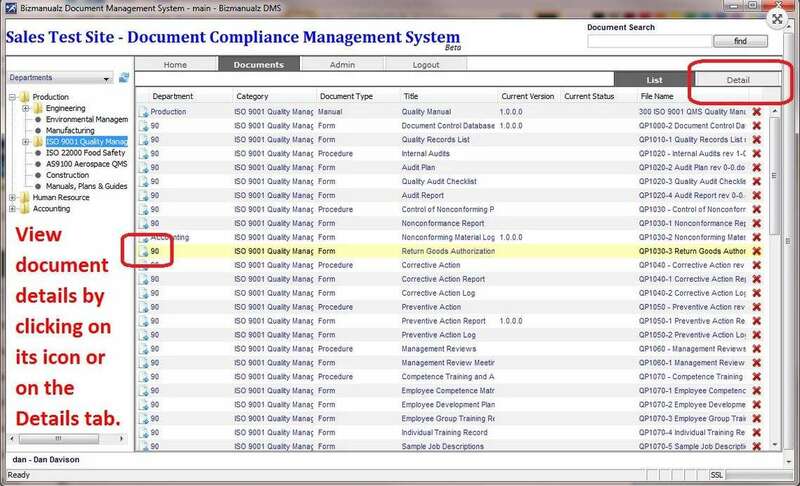 To manage a document, click on the document tab (Figure 2), which is the second tab from the left. 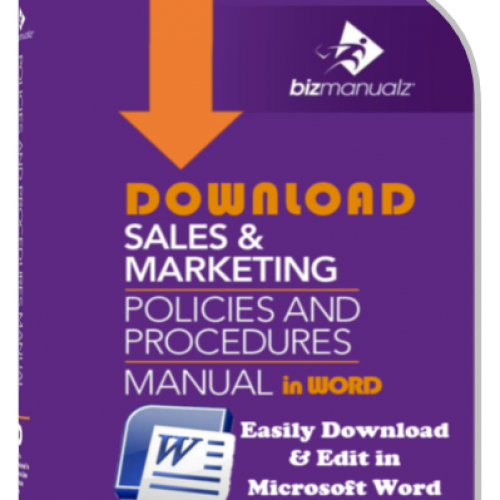 Then click on the production department folder in the left-hand navigation to show production-department documents (Bizmanualz templates that you purchase come pre-loaded and you can upload your own documents). 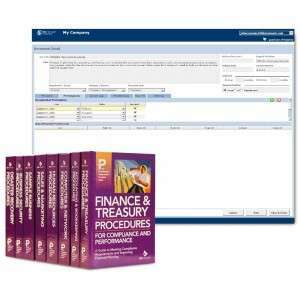 Expand the folders by clicking on the plus sign in the Department navigation on the left-hand side (Figure 2) to show its contents and browse for documents in the list in the main window (Figure 3). In the list, select a document by clicking on it. View document details by clicking on its icon or on the Details tab (Figure 4). 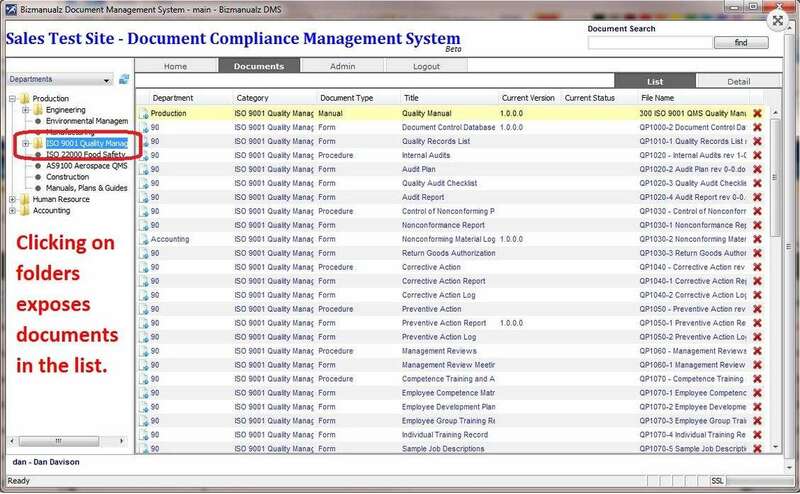 Document details (Figure 5) shows information about the document, such as the title, description, when the document was released, review/retention intervals, and the most recent revision number (dot release). Information about the document is entered here. 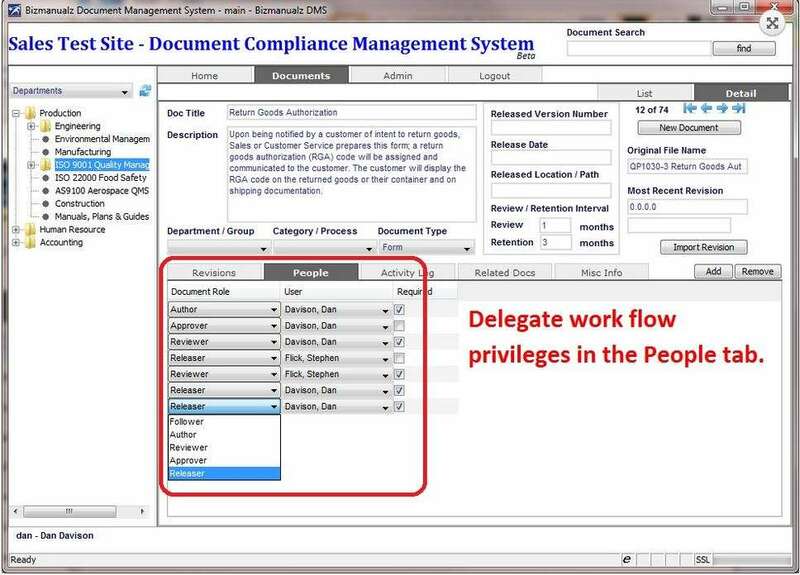 Document details is also where document work flow and permissions for the document are managed, via ‘People’ in the third-level tabs (revisions | people | activity log | related docs | misc Info). The document itself may be viewed from this window by clicking on the binoculars icon, or edited by clicking on the document-edit icon. 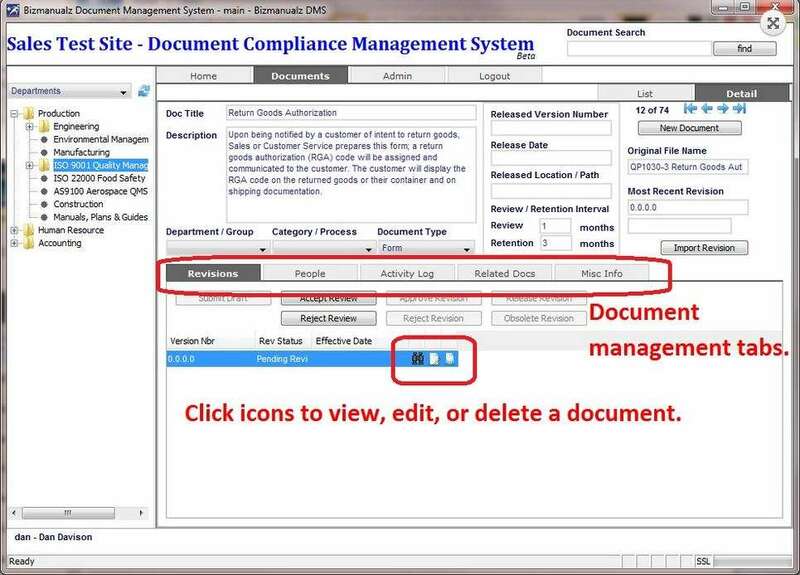 Delete the document by clicking on the delete icon, which will issue a warning before deleting the document. Workflow in the Bizmanualz OnPolicy system is essentially a three-stage process of accept/reject review, approve/reject revision, and release/obsolete revision. We will look at the basics of each step here. 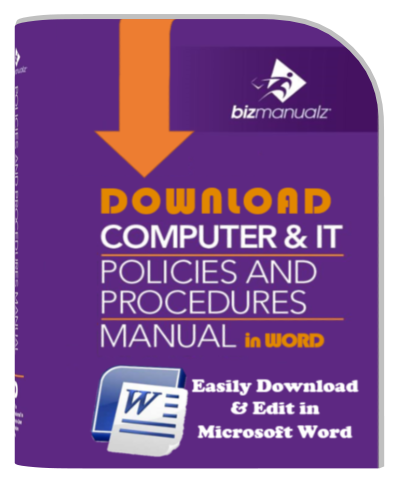 This guide assumes that you have created users, and set permissions at a department level. See those use cases for full information. 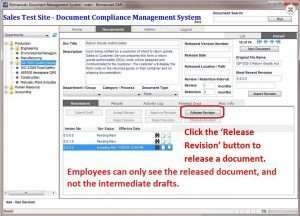 Here we will review the optional step of setting permissions at the document level, which override department-level permissions governing access to a group of documents. System administrators can set all permissions for themselves and all users. They can submit drafts (DRAFT), accept or reject reviews (REVIEW), approve or reject revisions (APPROVE), and release documents (RELEASE). This cycle—Draft | Review | Approve | Release—is consistent with all document management protocols, industry standards, government regulations, and quality standards. By default, authors cannot review or release their own work. 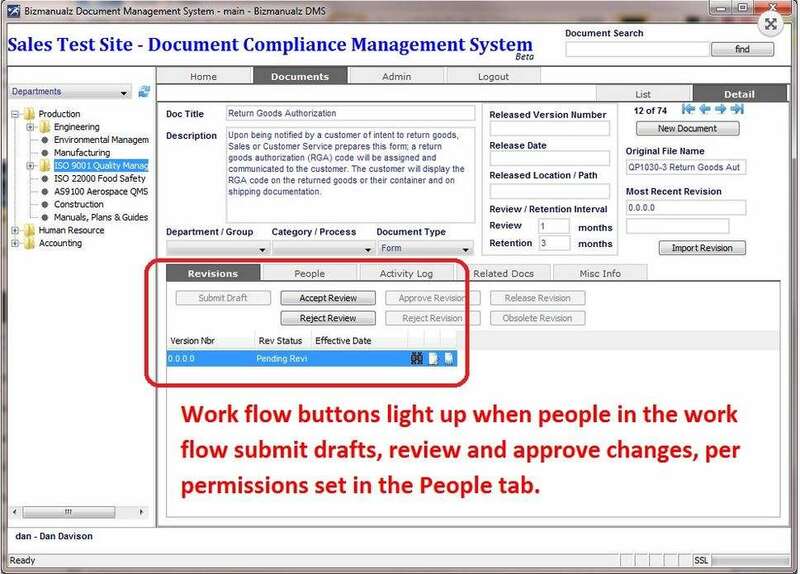 But administrators can change work flow permissions and defaults for single documents in the People tab (Figure 6), overriding department or group-level permissions. If you are logged in as an administrator, you will have access to the People tab while you are on the Details view of any document. 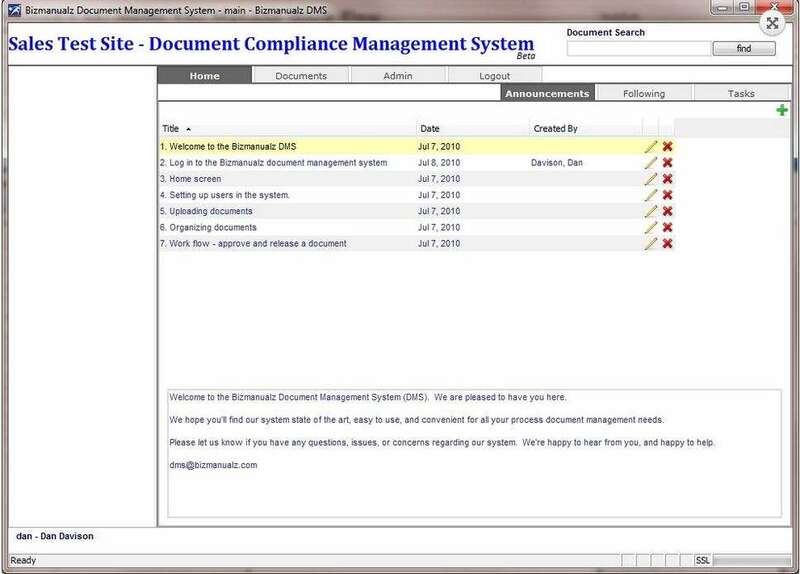 In this example, the administrator has granted himself full permissions, and another employee Approver and Reviewer permissions, overriding permission defaults. 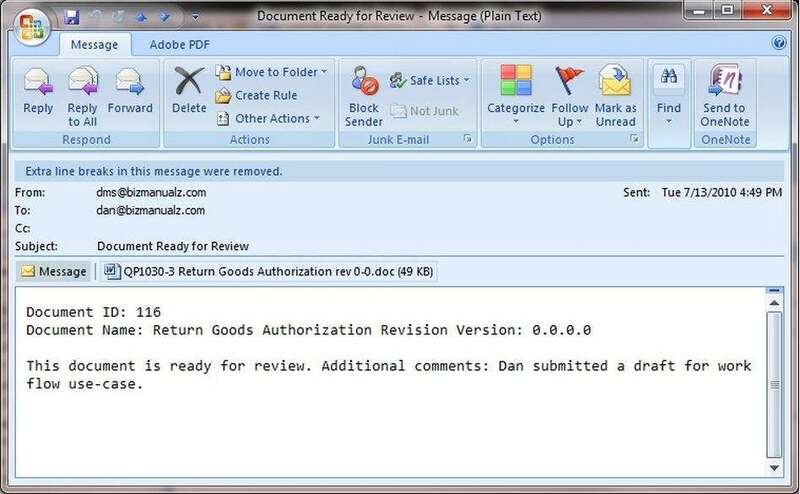 Dan has permissions as an author, which means that he can ‘Submit draft’, which causes the ‘Accept Review’ and ‘Reject Review’ buttons to light up (Figure 7) per the permissions he set in the previous screen. 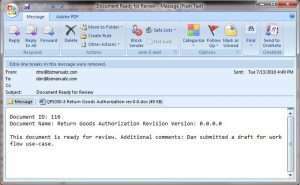 Reviewers are notified by e-mail when documents are ready for them to review. 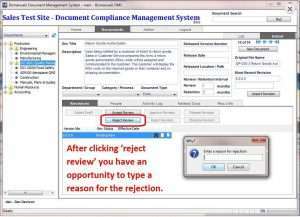 E-mails are sent when the document has to be submitted for review. 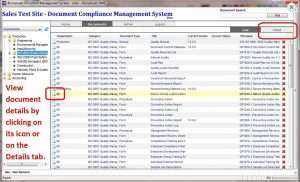 All users who have review privileges for the document will receive an email (Figure 8). The document may be attached to the e-mail so you can read it right away. But documents can only be released through the system. Any revisions you make to the attachment will not be reflected in the controlled draft or released document unless you upload it to the system. 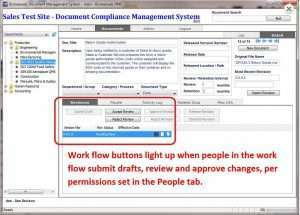 If you do that, it will cause another work flow cycle to occur on the document you have uploaded. 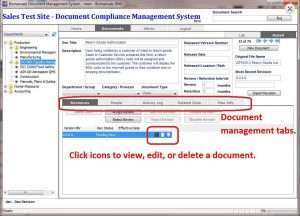 To avoid a proliferation of documents, we suggest using the attachment for reference only while doing all your revisions logged into the system. In this example, the revision number is still 0.0.0.0 because the document review has not yet been accepted. 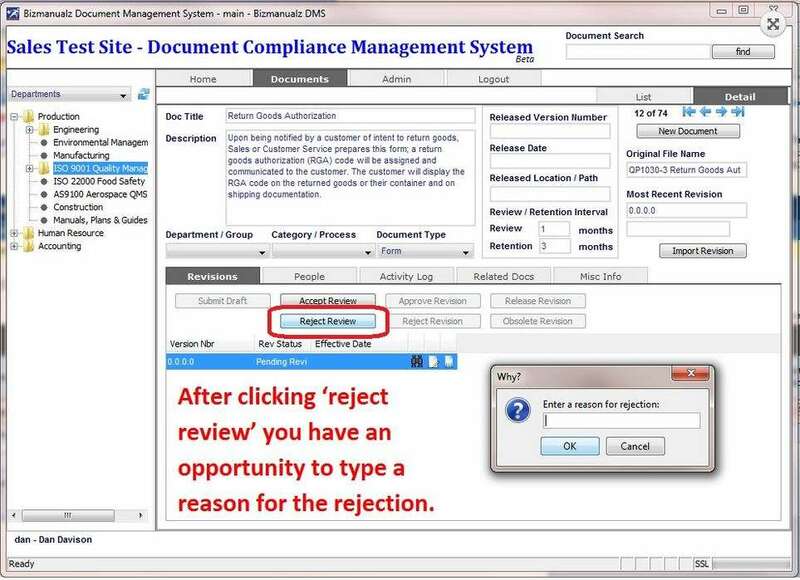 Clicking on the ‘Accept Review’ button which is lit up in Figure 7, will create a document revision. If you ‘reject draft’ you get a message that prompts you to enter a reason (Figure 9). 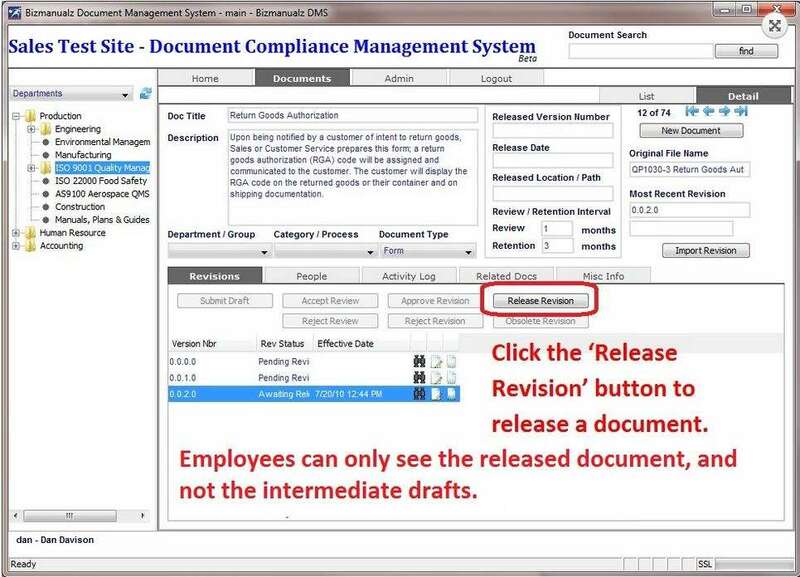 Ultimately, revisions can be released by clicking the ‘release revision’ button (Figure 10). You will only be able to release the document if you have permission to do so, per the settings on the ‘People’ tab. Talk to the document author or system administrator to find out what permissions you have. 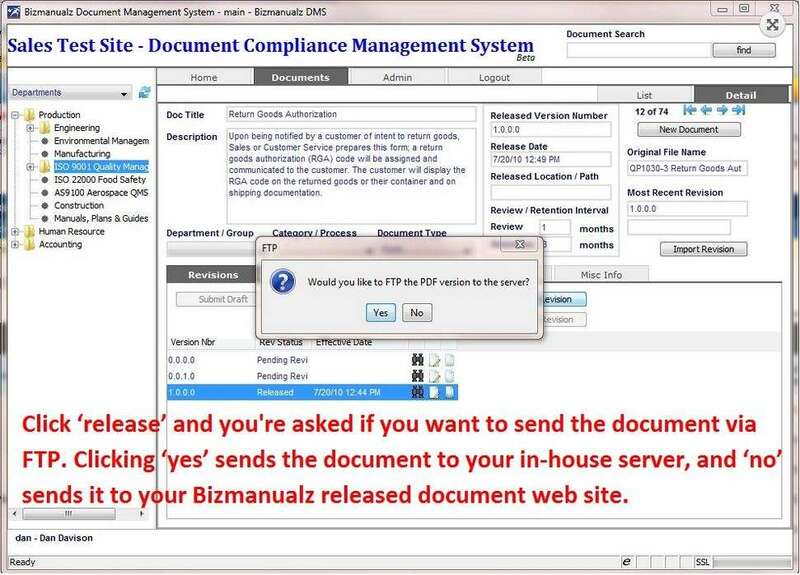 When you click ‘release’ you will be asked if you would like to send the document via FTP to a server other than the Bizmanualz server (Figure 11). 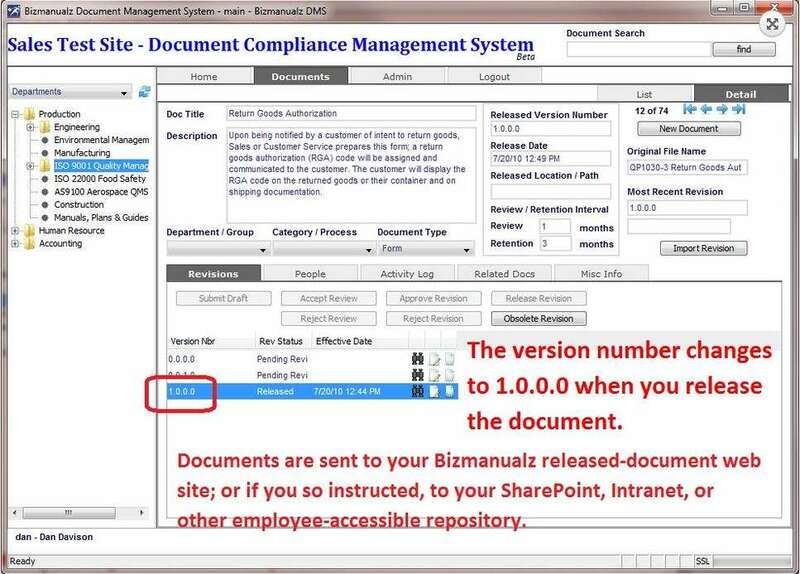 Select ‘yes’ if you are pushing released documents to SharePoint or another local server other than Bimanualz. If you are not sure, ask your administrator or Bizmanualz. When you release a document for the first time, the version number changes to 1.0.0.0, indicating that the first release of the document has been achieved (Figure 12). Note that many reviews may have occurred before the first release. Unreleased documents cannot be seen by the general user population. 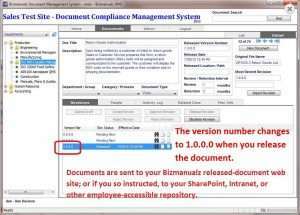 They will only see what you released to your customized Bizmanualz web site or to your SharePoint or Intranet. 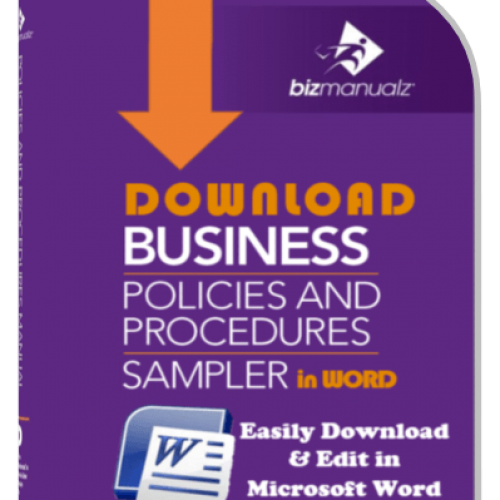 Only users of the Bizmanualz OnPolicy editing module can see the drafts. So, what do you think? 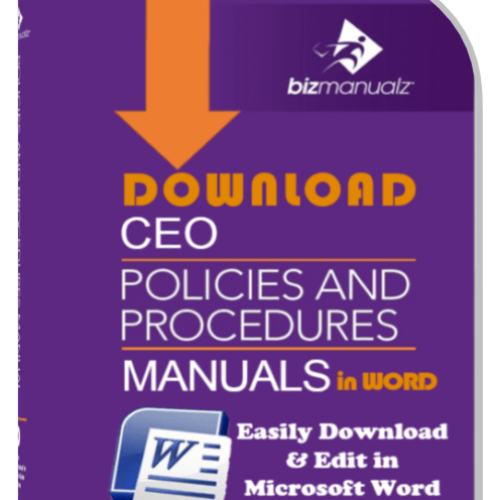 Are you ready for a FREE TRIAL of the Bizmanualz OnPolicy procedure management software?